Black women are notoriously distrustful of unfamiliar hair salons. The fear of an untrained stylist doing some irreparable damage to your carefully cultivated tresses, is everything that nightmares and cold sweats are made of. This distrust is so ingrained that we will get our hair done in some style (usually braids) that requires little to no maintenance before taking a vacation. We will travel back home to our regular salon after moving to another city or state rather than try out any place nearby. We will even suffer egregious unprofessionalism because… well I don’t know why. It’s just the way it’s always been. Regardless of if your hair is relaxed or natural, the struggle is real. FastCompany.com summarized the issue so well in a profile of an app called Swivel Beauty that’s aiming to help connect black women with salons in the U.S. They aren’t alone. 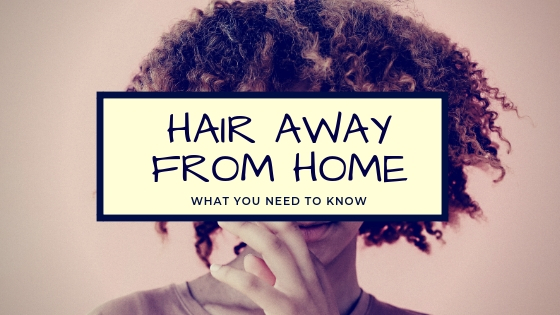 In a quick search, I also found these sites serving as resources to connect women with salons as well as other information about black hair. Let me know if you’ve found other web-based resources for finding hair salons helpful. For those of us not living in some melanin-filled, urban metropolis (and also not a YouTube or Instagram maestra with our own hair), how do we stay fresh and keep our hair healthy? It takes a lot, but we’re worth the effort. There are some products that you will simply not be able to find in your adopted country; Shea Moisture, I’m looking at you. If you have anyone visiting, when they ask you what they can bring: tell them hair products. If anyone is willing to buy stuff at home and ship it to you, take them up on it. And clearly, if you happen to find your coveted shampoo, conditioner or whatever in your travels, buy as much as you can carry. Clear the damn shelves if you must. Stock up on that stuff like you’re a doomsday prepper or extreme couponer. I’m not going to lie, this part of the process is time-consuming and can lead to many dead ends (no pun intended). However, black women abroad need to attain expert level knowledge of their hair’s needs, the products it requires and so on. I can only speak from the perspective of having natural hair and dread locs (though it has been about four years since I cut mine after 12 years), but learning the ins and outs of deep conditioning, twist outs and wash and gos are of vital importance. When you haven’t located a salon yet, it’s every fro for itself! Before you move, get a final trim and deep condition from the salon you know and love. Tell your stylist about your move and ask their advice on what you can do to maintain a healthy, coiffed do. A great stylist (like mine in NYC) will even give you a list of products that you should be able to find anywhere. They should be invested in not having you out there looking all cray. 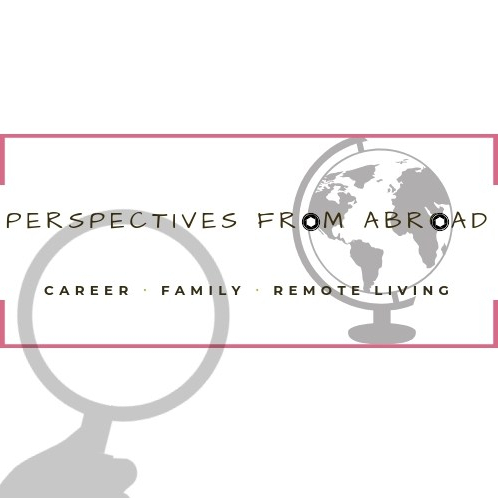 If you’re really in need of some professional intervention after your move, enlist the help of the internet and black expat groups (if available and active) to find some options. In Thailand, many small businesses forgo websites in favor of Facebook pages, so Googling isn’t incredibly helpful. It also pays to get info the old-fashioned way; walking up to a stranger and asking where they got their hair done. Being away from the judgy eyes of people back home can be an excellent opportunity to experiment with styles you may not have attempted otherwise. Buy some scarves and experiment with wraps. I’m incredibly lucky here in Bangkok to have access to sumptuous fabrics on the cheap that I can use to wrap my hair. As you casually find stylists, reach out to them. Find out about their prices. Ask for photos of their work. If you can stop by the salon. That way when you are ready to get your hair done it isn’t a scramble. When you are finally ready to get your hair done, take a deep breath and go for it. Be as detailed in your explanations as you can and don’t be afraid to open your hair board on Pinterest to show the stylist what you’re talking about (We all have them, probably next to the nails board. This is mine). If you arrive at a salon to get your hair done and it doesn’t feel right, ask questions. If you aren’t satisfied with the answers, get up from the chair and leave. Don’t let them mess up your hair because you want to be polite. I just got my hair braided for the first time in 17 years here in Bangkok. I needed a break from the wash and go, and I’m sure my hair did too. Overall, I would give the experience a six out of ten after a dropped ball in the coordination department threatened to ruin the whole appointment. Making the arrangements with the service seemed simple. The stylist would come to my apartment (awesome! ), I picked the hair colors, sent photos of the style I wanted. I was very excited. Appointment day arrived and three hours later, no stylist. When I finally connected with the stylist directly it did not seem like what I communicated to the service was shared with her, so I went off to the salon. Not so simple after all… Five hours later, and despite the rough start, I walked out in love with my new look. The stylist and I will be talking directly from now on. Have you put your hair in the care of another while abroad? I’d love to hear about what it was like, how you found them, everything! Ooh it looks so good!! Thanks! I definitely stepped outside my comfort zone doing the highlights, but I’m pleased with how it turned out. So much #truth here. Love it and love the new look. Thank you! I’m glad you felt where I was coming from on this. This is awesome! Can you share your stylist with me? I’m in Bangkok now! Yes, her name is Patricia. She’s in a shop on Petchaburi Soi 13.